The Virginia Beach Chapter volunteers work hard to protect our oceans, waves and beaches. Sometimes, it’s nice to just kick back and hang out with volunteers and community members and enjoy a good surf flick. We have partnered with several local businesses/organizations to make our movie nights fun and relaxing, including Wildfowl Heritage Museum, Whole Foods, Pungo Board House, WRV, Java Surf Cafe, Green Flash Brewery and O’Connor Brewing Company. 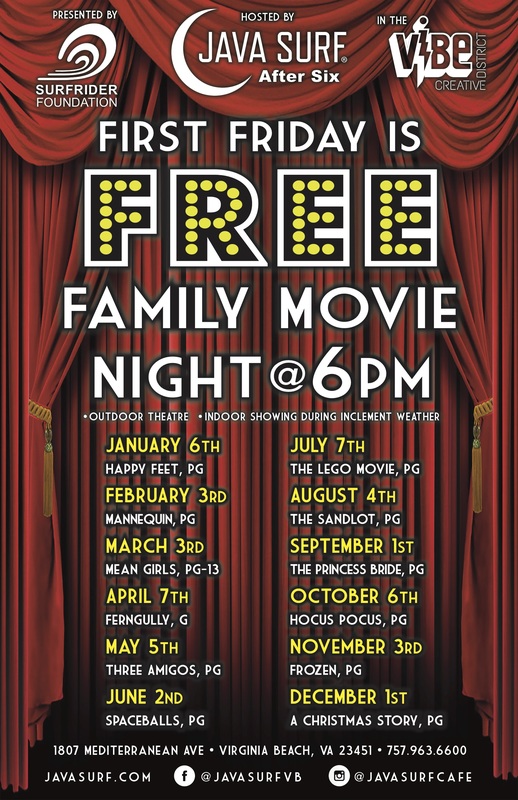 Join us every 1st Friday at Java Surf on 19th and Mediterranean for 1st Friday Movie Night.